Fashion seems to be finally waking up to the fact that it might be a smart idea to introduce bolder hue’s into women’s wardrobes from across the globe. At the recent shows in February, the multi-generation model castings generated much more buzz with bright clothes flooding the shows with breath-taking hues. What has stood out about all these changes, apart from the delight in seeing the return of iconic personalities showcased through unforgettable colour. Designers have brought a new energy and personality to the clothes-a message sure to resonate, whatever your age. We enjoy celebrating style, beauty, and wisdom from all backgrounds. This summer, it’s all about making a chic statement. Embrace top-to-toe bright colour to stand out in any crowd. Step out in striking 1970s prints updated in contemporary silhouettes. Stand tall in stacked flats. Go to extremes with supersized bags and earrings. Or simply swing into the new season with showpieces as pretty as precious crown jewels. Whether your style update is petite or large, this season will make sunflowers and violets our new go to colours. This summer most of us are looking forward to escaping the crowds and stress of the day, by heading off to Venice beach. Sipping cocktails as we dawn a ladylike look in a bright dress, keeping it modern and stylish with minimal accessories. Or planning on checking out an artsy exhibit, while ensuring your skin with a safe sun-kissed glow and embracing the goddess that you are. For this chic memo, your stylish update will consist of these amazing 4 new hues we are actually addicted too! Head-To-Toe Colour-The simplest way to get dressed and an easy way to make a powerful statement, being all in colour! This may already be how many of us approach an outfit, colour needs to be bright, bold and as close to the same shade as possible, and yes that includes accessories. Because nothing suggests a woman's confidence more than a glorious hit of just one pure hue. Hot Red- This is the shade of love and passion turns heads, so play on it's seasonal notes and wear red seductively. Keep the silhouette narrow, reveal some skin and never underestimate the effect of some edgy leather. The effect of a ravishing stiletto sandal makes all the boy's come calling. Popping Yellow- The ultimate sunshine shade that can't stop brightening up your day, as well as everyone around you. Cool in leather and elegant in silk, yellow is the new go-to evening shade , but don't be tempted to swap in black accessorises as the result could be more bee like.Try mixing the yellow hues, that way you have more of a retro look. Orange Beauty- There is a flaming energy that keeps creeping up on us this summer. 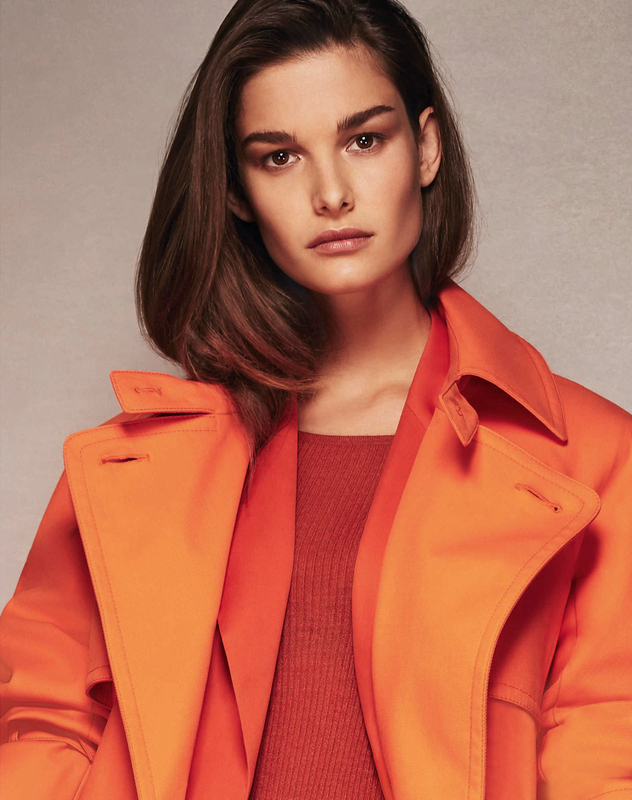 It is the beauty of an all-over orange outfit, thanks to its warmth and freshness. Layer light layers over each other for depth, add flashes of gold jewels to really set off the shade, and finish off the look with an extreme heel. What do you think of these amazing 4 new hue's?